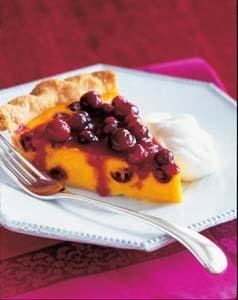 It’s the ultimate foodie day: Thanksgiving! But here’s something we’re not thankful for: Many traditional Thanksgiving staples, such as cranberries, green beans, sweet potatoes, and leafy greens, rank among the top foods at risk for toxic pesticide residue, according to The Organic Center's new Dietary Risk Index. Make this year’s Thanksgiving your healthiest yet with organic foods, free from pesticides, GMOs, hormones, and antibiotics. 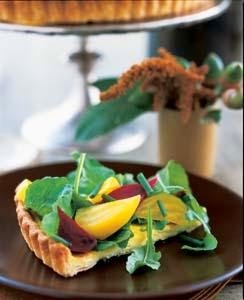 Show your love by buying as many organic ingredients as you can and using them in these delectable recipes. “By preparing an organic Thanksgiving, you’ll be providing your family with nutritious food that’s both good for you and for the planet,” says Snow. 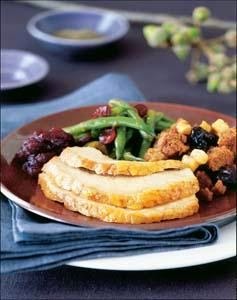 A gorgeous centerpiece entree (see full turkey on previous frame). 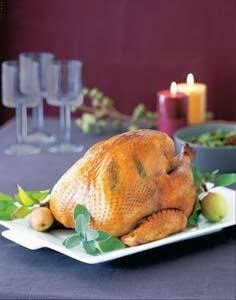 Look for organic and heritage turkeys, which are raised without hormones, antibiotics, or additives. View recipe. 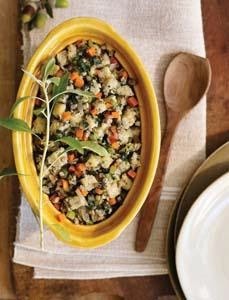 This vegetable-studded stuffing adds flavor and nutrients to a typically bread-heavy dish. Use organic, sprouted bread for even more texture. View recipe. 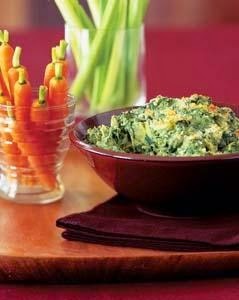 Enjoy this lightened version of the classic artichoke dip appetizer—and be sure to use organic spinach. View recipe. Conventionally grown beets are often genetically modified (GMO); avoid this by buying organic beets for this lovely, light appetizer or starter course. View recipe. 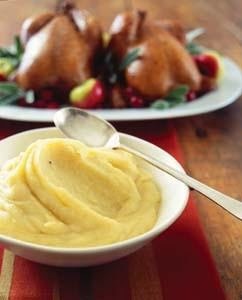 It's not Thanksgiving without some version of mashed potatoes! This sophisticated version adds natural sweetness with organic parsnips and fennel. View recipe. 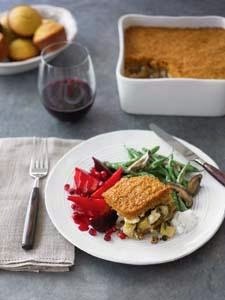 This vegetarian, Mediterranean-inspired entree will please everyone at the table; you can also make it one day ahead. To avoid rBGH, use organic yogurt for the delicious, dill-infused sauce. View recipe. 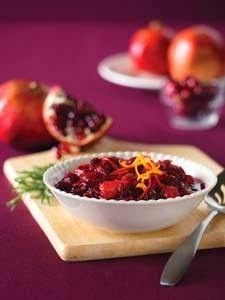 Easy and tangy, this refreshing cranberry relish features organic orange peel for a bright finish. View recipe. 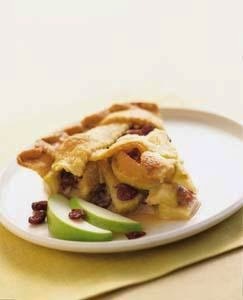 Organic apples, an early symbol of the organic movement, combine beautifully with lemon and cranberries in this seasonal dessert. View recipe. This novel, savory-sweet dessert features juicy, fresh figs; it's wonderful paired with fresh goat cheese. View recipe. An Ayurvedic-inspired finale to your organic feast; the ingredients promote peacefulness because they're free of caffeine and strong spices. 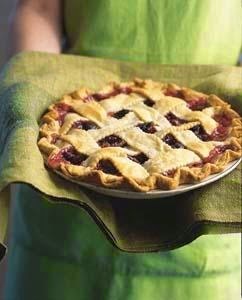 View recipe.